Rebel Hero: A Captain’s Tale | what's the formula? Is Captain Richard Phillips an intrepid and courageous American, as proclaimed by President Obama in 2009? Or is he a reckless and irresponsible mariner, as many of his crew allege? And, can these questions be addressed by looking at his early life? Back in the ’60s and ’70s, Irish neighborhoods in Boston had a reputation for teenage brawling, where boys (especially) were constantly challenged to be rough and tough. Richard and his brothers were no exception. Their mom recalls an easy, independent infant, who “did his own thing in his own laidback way;” growing into an adventurous, strong-minded teen. Accordingly, Richard admits he was something of a rambunctious wise-guy, prone to rebellion. Most evenings ended with him and his friends in fights or being thrown out of bars for carousing. Richard’s boisterous lifestyle resulted in his dropping out of college. 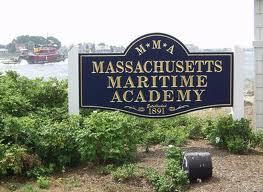 He spent a few months driving a cab until two chance encounters with merchant marines, plus a recommendation from his brother, Michael, propelled him toward the Massachusetts Maritime Academy. He describes “a year of constant hazing” in an institution where discipline and regimentation were required at all times. Richard remembers “It’s a true blue military school, where they broke you down before they build you into a merchant marine.” Of the 350 entrants who started with Phillips, only 180 men graduated. He succeeded because, “I was tough, I was a hard worker, and I knew how to learn.” Mrs. Phillips concedes that he came into his own at the MMA. He was ready – for life as an adult, and for life on the high seas. Before she signed off, I asked Mrs. Phillips how she coped during his capture: She told me all she had were her faith, prayers and her belief that if anyone could emerge from this, it would be Rich. It was her confidence in her son’s character and training that kept her hopeful. According to The Guardian, she was “…sure it’s going to be OK. I know my son. He’s a survivor.” He himself said in his book’s introduction: “I should have told the pirates: I’m too stubborn to die that easily. You’re going to have to try harder.” Satisfied that she’d shared just enough with me, Mrs. Phillips had a smile in her voice as she said goodbye. Alas, I was left with still more questions than answers. My conversations with Mrs. Phillips were shorter than my usual interviews, so I have drawn much of my material from Captain Phillip’s memoir; which confirmed Mrs. Phillips anecdotal musings, but also illuminates a more complicated persona. Flouting authority appears to be an innate part of Richard’s personality: He “was known for being someone who didn’t back down from a fight;” and seems to think “The need to wander [as a mariner] and the need to rebel go hand in hand.” In the book, Phillips come across as oft time confrontational, always pig-headed, inherently defiant, intensely competitive: Similarly, crew members separately describe him as arrogant, negligent, stubborn and difficult. It may be that Phillip’s primary learning environments helped to produce the Captain Phillips these sailors describe: We know his dad never verbalized his love for him; we know he grew up in a neighborhood that spurs competitiveness; and we know his coming of age involved uncompromising militaristic training. Could these factors, coupled with an already intense personality, have sharpened his caustic independence to a perversely dangerous point? Many could argue that such dysfunctional conditions precipitated Phillips’ fateful pirate encounter. Personally, it is hard not to see Captain Phillips as a hero. He did survive five harrowing days as a captive. And it was under his shrewd command that the crew reclaimed the Alabama. (This is probably the only such successful case in modern history.) Things could have ended tragically different had Phillips not exercised his take-charge, fight-back attitude. What do you think? Is Captain Phillips a hero or a villain? And how do you think his upbringing figures into this? Thanks, Dana. Please stop by again! That’s a thought-provoking questions, Rosemary! hi michelle, thanks for sharing your thoughts. It is hard to define a hero, however i do feel that Captains Phillips can be classified has an hero, because under his guidance, he prevent numerous fatality, which some could argue, the event of being in harms way could have been prevented, however that was not the case, but everyone came out alive. I do believe if there were casualties, then Captains Phillips would not have been considered a hero, because due to his incompetency,someone would have lost a husband, a son, a father or a brother. His brave action led to the safe recovery of the crew and also the vessel, in the future, i do feel the Captain should obey the rules, they are put in place for a reason, and should be reprimanded for breaking the rules. This work by https://whatstheformulablog.wordpress.com/ is licensed under a Creative Commons Attribution-NonCommercial-NoDerivs 3.0 Unported License. I was writing little articles about raising my daughter, a tennis obsessed 11 year old African American girl. I'll use this to share them. The worlds greatest achievers have been those who have the ability to remain consistent in their efforts to reach their goals. The madcap misadventures of a teacher and his love for comics, music, movies, media, technology, and geek culture.